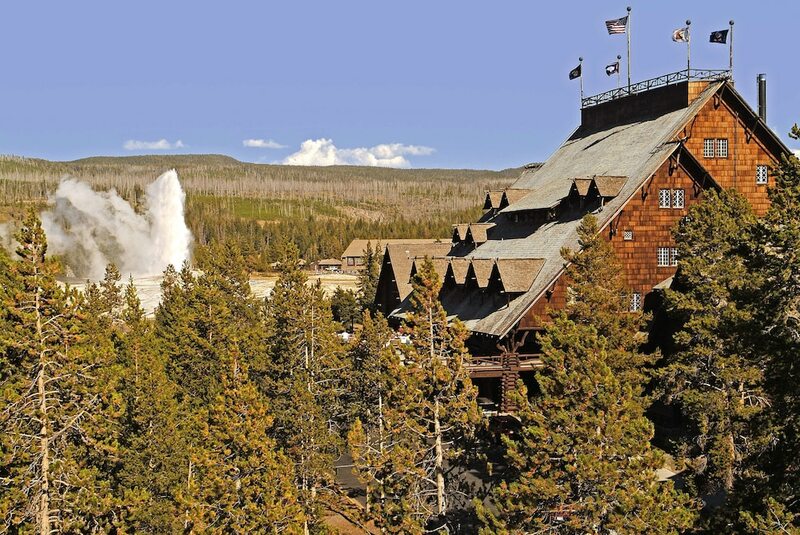 When you stay at Old Faithful Inn - Inside the Park in Yellowstone National Park, you'll be in a national park, within a 15-minute drive of Old Faithful and Grand Prismatic Spring. This historic hotel is 0.3 mi (0.4 km) from Castle Geyser and 0.7 mi (1.1 km) from Grand Geyser. Make yourself at home in one of the 327 guestrooms. Conveniences include desks and coffee/tea makers, as well as phones with free local calls. Make use of convenient amenities such as gift shops/newsstands, a fireplace in the lobby, and tour/ticket assistance. Grab a bite to eat at The Dining Room, one of the hotel's many dining establishments, which include 2 restaurants and a coffee shop/café. Quench your thirst with your favorite drink at the bar/lounge. Cooked-to-order breakfasts are available daily from 6:30 AM to 10:30 AM for a fee. Dining is available at one of the hotel's 2 restaurants and guests can grab coffee at the coffee shop/café. The property also has a snack bar/deli. A bar/lounge is on site where guests can unwind with a drink. This historic hotel also offers tour/ticket assistance, gift shops/newsstands, and a fireplace in the lobby. Old Faithful Inn - Inside the Park is a smoke-free property. The Dining Room - This restaurant serves breakfast, lunch, and dinner. Open select days. Bear Paw Deli - This delicatessen serves breakfast, lunch, and dinner. Open select days. Bear Pit Lounge - Onsite cocktail bar. Open daily.